Tis project has been initially announced on year 2017 on Ignite event. At that time it just gave excitement for server admins who saw this as Swiss army knife to managed the different version of Windows servers. Along with time Microsoft project team has been working very closely with MVP’s and general public getting the feedback how they should be improving this project. Simple and modern management experience: Windows Admin Center is a lightweight, browser-based GUI platform and toolset for IT admins to remotely manage Windows Server and Windows 10 machines. 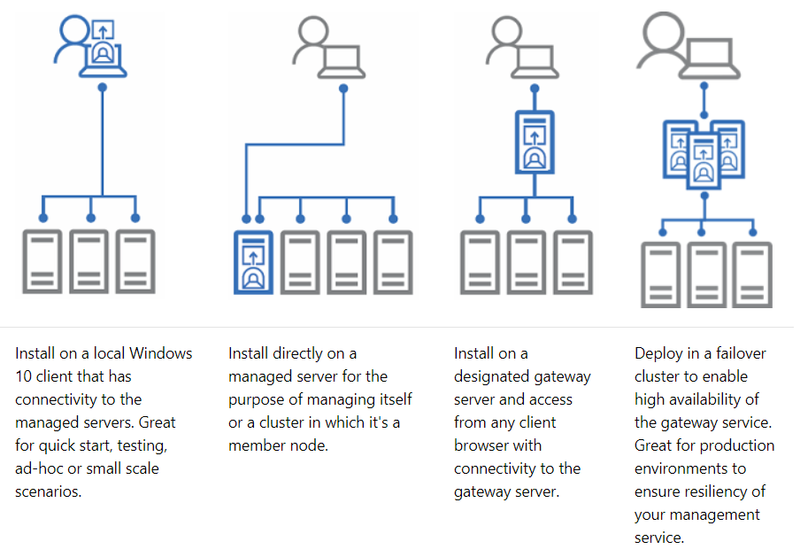 Hybrid capabilities: Windows Admin Center can manage Windows Server and Windows 10 instances anywhere including physical systems, virtual machines on any hypervisor, or running in any cloud. Connect to the cloud with optional value-added features like integration with Azure Site Recovery for protecting your virtual machines, and support for Azure Active Directory to control access with multi-factor authentication. 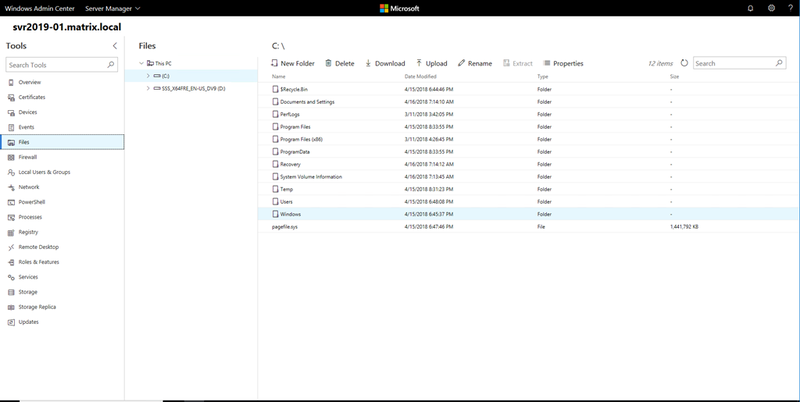 Integrated toolset: Rather than switching between several different tools and contexts, with Windows Admin Center you get a holistic overview of your resources and the ability to dig into granular details. In addition to server and client machines, it allows you to manage failover clusters and hyper-converged infrastructure (HCI) deployments. Designed for extensibility: We’ve been working with early-adopter partners to refine the extension development experience in a private preview of our SDK. That means soon you’ll be able to extend Windows Admin Center’s capabilities to 3rd-party solutions. For example, you’ll start to see 3rd party hardware vendors use Windows Admin Center to provide management of their own hardware. For me it’s really interesting when Jeff Woolsey mention in the Azure Cloud Summit Singapore you can manage your Azure resources as well as on-premise resources from single console. I’ve already went ahead and tested this on my test lab cross checking server 2012 R2 to all the way to Server vNext (aka Server 2019) version. I’m pretty amazed how simply product can be setup and used. Kindly note there are couple of modes you can setup Windows Admin Center to manage your servers. PS: Server 2012 R2 had problems due to WMF 5.1 not availbility. This has been documented on Microsoft docs and easily can be fixed. In my case I went ahead with setting everything on a Windows 10 Enterprise VM. I think most of the production environments in Sri Lanka would be fine with Singe Gateway mode. 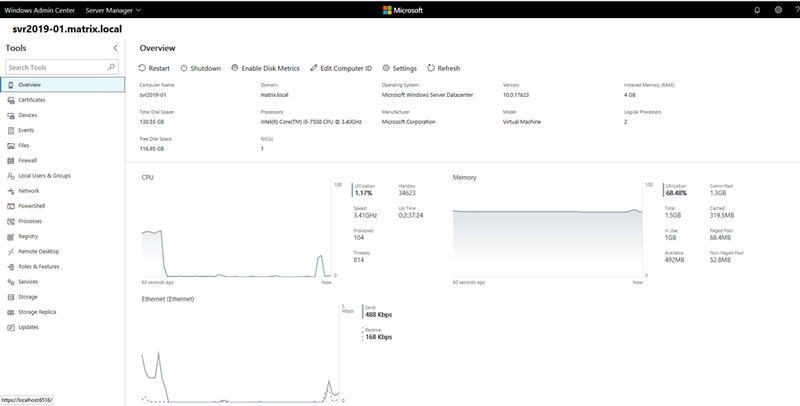 If you’re a service provider managing lot of customer resources then it’s fine to move ahead with Windows Admin Center on failover cluster to provide additional resiliency. In my test lab I’ve both Server 2016 and Server 2019 in command level. Whatever said and done it’s not that easy when you miss the GUI . Windows Admin Center resolves that problem like a charm. I’ve managed to connect to both servers seamless level and manage them remotely. Only problem I came across is when I tried to enable remote access to both servers from Windows Admin Center. Finally I end up using sconfig and enable remote desktop access. Soon after that I’ve managed to get RDP to both servers for console access. I like the simplicity UI plus plethora of tools given for managing the servers. In todays blog article I’ve only briefly touch the product capability. There are few more things to be discovered. I’m yet to explore the feature of Azure management from single console. Apart from that Microsoft promise we can manage our HYPER-V failover clusters and hyper-converged clusters as well. Apart from that if you’re using ASR to protect your hyper-v VM’s to Azure you can manage that fro Admin Center. As I said earlier I didn’t had all the lab scenarios in my hand right now but look forward to share my experience whenever I get my hands to such environments. In the meantime you’ll can share your exact experience when using this product. PS: At this stage don’t take Windows Adin Center as you final destination to manage your Windows Server environment. At this stage Microsoft is very clear Admin Center will not replace your MMC consoles, Monitoring tools like SCOM, OMS and rest management tools. But Microsoft has given very clear picture where they heading on server management path. It would be really amazing when this product improved to manage services on server less environments as well.